Gazprom will not receive an advance payment on the gas contract it signed with China National Petroleum Corporation (CNPC) to build a gas pipeline to China, the Russian company’s chairman Alexey Miller has said during his visit to China. "There is no need any more to negotiate the receipt of an advance to reduce the contract price, so this issue is currently off the table," Miller said. 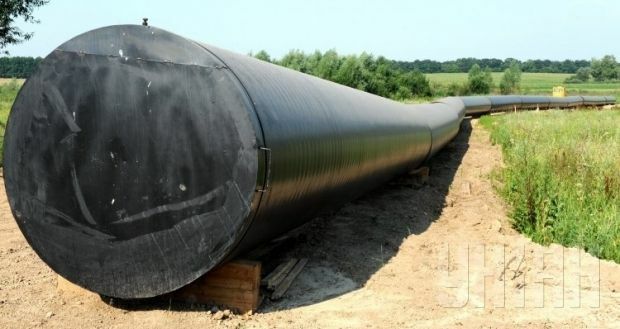 The construction of the pipeline has an estimated cost of RUR 770 billion, a sum that Gazprom had earlier said it was expecting to receive from China, Russian newspaper Vedomosti reports. A 30-year contract worth $400 billion for the supply of 38 billion cubic meters of gas annually from Russia to China was signed between Gazprom and CNPC in May. Gas supplies through the Power of Siberia pipeline were expected to be launched in 2019, with the gas being pumped from Gazprom’s Chayandinskoe and Kovyktinskoe fields. The construction of the gas pipeline began on September 1, with the total costs of the project said to reach $55 billion. A week before signing the contract, two people close to Gazprom told Vedomosti that the Russian company was discussing with China the disbursement of a loan instead of an advance for the construction of the pipeline. They also explained that negotiating an advance would allow China to have a reduction in gas prices, while in the case of a loan, there might be no discounts, but this would increase the debt burden. Given the fact that China has not provided an advance, the funding may now be allocated from the National Welfare Fund (NWF). However, sources close to Gazprom deny the company has requested the state aid. A company representative refused to comment on the issue. A similar scheme was discussed in June by the Minister of Economic Development Alexey Ulyukaev as an alternative to the recapitalization of Gazprom, as proposed by Russian President Vladimir Putin. The Power of Siberia project qualifies for financing by means of the NWF: it is an infrastructure project aimed at ensuring gas supplies to the Far East, according to the director of the Small Letters analytical company Vitaly Kryukov. Gazprom may also have to secure the loan funding. The financial requirements for the development of the fields, the construction of gas processing facilities and pipes, and increasing output capacities to 38 billion cubic meters are estimated at more than $100 billion. Under the current circumstances, the project is not profitable, a partner of RusEnergy Mikhail Krutikhin says. Therefore, the funding of the project is a political issue, as there are unlikely to be any other financing sources available to Gazprom apart from those of the state.